The People's Hospital serves the people，speading the gospel of health for over 113 years. Henan Provincial People's Hospital, a sacred life hall with a history of more than one hundred and thirteen years, is located in the green city Zhengzhou along the bank of the Yellow River. Originally, it was Kaifeng "Gospel Hospital" which was founded by China Inland Mission in 1904. This hospital was renamed "Henan Provincial People's Hospital" in 1950. In 1955, Zhengzhou became the provincial capital and this hospital was moved to Zhengzhou. 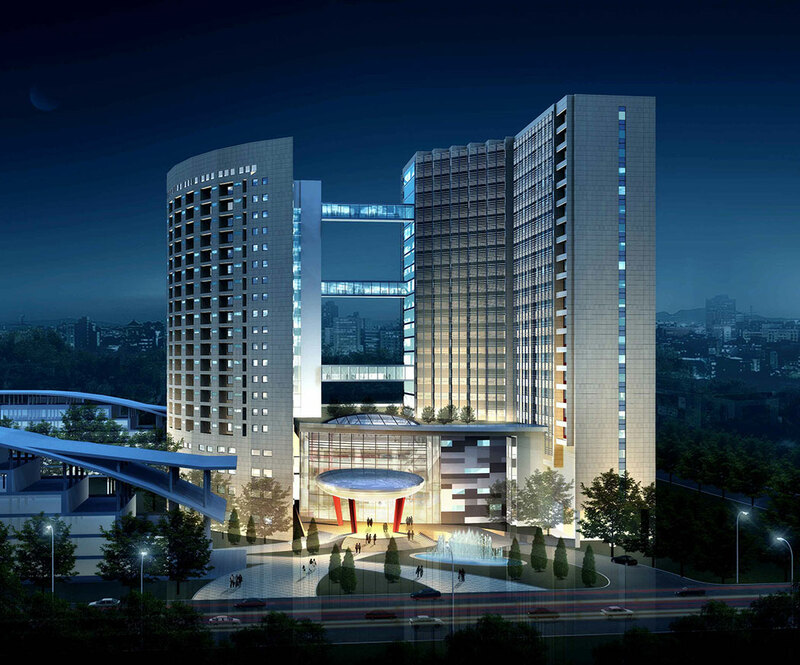 In 2010, its name was added with Zhengzhou University People's Hospital. In 2012, it was identified as a hospital established by the National Health and Family Planning Commission of the PRC and the Henan provincial government. This hospital covers an area of 140mu, has 3,900 beds and 249 ICU beds, receives 3 million emergency cases and makes over 90,000 operations each year. Every year, 170,000 person-time patients leave hospital. Henan Provincial Cardiovascular Hospital (i.e. Fuwai Central China Cardiovascular Hospital and Central China Branch of National Center for Cardiovascular Diseases), which is under construction, covers an area of 250.08mu. According to the plan, it will have 1,000 beds and Henan Provincial Eye Hospital will have 210 beds. This hospital has 11 national key clinical disciplines, such as cardiovascular medicine, cardiovascular surgery, endocrinology, clinical nursing, respiratory medicine, neurology, ophthalmology, nephrology, infectious diseases, emergency medicine and medical imaging, 18 Henan provincial key clinical disciplines, 5 academician workstations, 17 national training centers and 42 Henan provincial quality control, diagnosis and treatment and research centers. It also has 720 experts who have senior titles, 62 state-management and province-management experts, 142 master supervisors and doctoral supervisors, 32 academic and technical leaders of Henan Province, 79 persons who have the title above the member of the standing committee of the national academic community and 116 chairmen and vice-chairmen of professional branches of Henan Medical Association. It has 53 national natural science foundation projects and 397 provincial and ministerial level scientific research projects and has won 2 first prizes of Henan Province Science and Technology Progress Award. Its employees have published 3,856 academic papers, of which nearly 300 papers are published on SCI and over 400 papers are published on China's core journals. Adhering to the spirit of "kindheartedness, erudition, preciseness and brilliance" and the tenet of "people's hospital serves the people", it serves the people's life and health. It has won honorable titles such as National Reliable Model Hospital, Advanced Unit of Health System in China and National Hospital Culture Construction Advanced Unit. It has been rated as the advanced unit in the review in the hospital industry for eight consecutive years and has been awarded the "satisfactory hospital". This hospital has won national civilized unit and the unique one in the health system of Henan Province three times running. Henan Provincial People's Hospital will adhere to the main work line of "talent, discipline and Internet-based intelligent health service", and wholeheartedly serve the people's health. It will comprehensively enhance the medical, teaching, scientific research, management and service level, and constantly strengthen the core competitiveness and innovation power. It will make efforts to do what it promises, highlighting the social responsibility, casting a centurial brand image and continuing the reform and development of Henan Provincial People's Hospital.